What do shale gas, Elon Musk’s Tesla, and the global apparel chain Zara share in common? 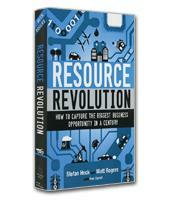 In Resource Revolution, management experts Stefan Heck and Matt Rogers describe how each in its own way exemplifies a resource revolution—a use of natural resources so effective it defies conventional wisdom and enables breakthrough performance where others see only limits and shortcomings. In 1798, English cleric and economist Thomas Malthus declared that the world was careening toward a population disaster that would lead to widespread famine on a scale never seen before. There were simply not enough resources to accommodate so many people. In contrast, Adam Smith’s The Wealth of Nations in 1776 argued that through the three inputs of capitalism — labor, capital and land — humans would be able to adapt to the requirements of any age and provide the resources needed for survival. Adam Smith, note Stefan Heck and Matt Rogers in their new book Resource Revolution, would prove to be right. The two industrial revolutions — the first in the late 1700s to the mid-1800s and the second from 1850 to 1920 — seemed to portend at their beginnings massive problems of sparse resources, supply unable to meet exploding demand and pollution damage on a scale never before seen. But somehow the countries at the heart of these industrial revolutions not only survived but thrived, becoming the economic leaders in the world. In terms of Adam Smith’s three elements of capitalism, the authors write, the success of the first industrial revolution was driven in large part by a reconfiguration of labor, launched as it was by the perfection of the steam engine. The success of the second industrial revolution was driven in large part (but not solely) by a reconfiguration of capital, with the development of the corporation and corporate banks to manage the massive scale of infrastructure investment — from roads and cars, to the electric grid, to cities filled with skyscrapers — required in this period. As with the first two, the authors predict in the third industrial revolution a period of incredible challenges but at the same time incredible opportunities. In this industrial revolution, nearly 40 percent of the world’s population will industrialize for the first time, mostly in China and India, as well as other parts of Asia and South America, representing an astounding 2.5 billion people who will be adding their impact on resources. Nevertheless, the authors are confident that history will repeat itself, with an emphasis this time on the third of Adam Smith’s inputs: land, or more broadly, the resources that come with land. 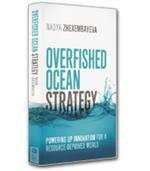 “We are confident a step change in resource productivity will not only allow the economy to work its way through the resource challenges but deliver new opportunities for creating wealth and cementing the position of leading companies for the coming decades,” the authors write. One example of a step change in resource productivity offered by the authors is the new process of hydraulic fracturing for oil and gas (also known as fracking).The authors acknowledge that there are some environmental challenges with fracking — in which massive amounts of water are used to break up the shale formations in which oil and gas deposits are trapped — but are convinced that energy companies will develop innovative solutions to address these issues. Innovation will also occur on the demand side of the equation, meaning that technological innovators will find ways to reduce demand for scarce resources, either by finding substitutes for those resources or finding ways to reduce consumption, the authors write. Resource Revolution offers a detailed but compelling argument for Adam Smith-inspired optimism. The resource revolution is not only about resources but also involves new technologies and new management models. But as with automobile manufacturing at its beginnings, which featured hundreds of car manufacturers that were eventually whittled down to a relative handful, the innovators will come out on top, and, the authors argue convincingly, much of the world will as a result lead better lives.